Rural personal shopper - Big Game Hunting Estate in Spain. "Los Claros"
Around "Los Claros" in the Sierra Morena, between the Alcudia valley (Ciudad Real) and Pedroches (Andalusia), natural products are nearly all handmade. We select the best products for you. Everything is of a very high quality and of limited production. Therefore, what we offer cannot usually be found in large cities and urban areas. Our store is made available to offer these unique and very local products. Simply tell us what you are looking for and we will respond with a list products that match your request. Once the quote is accepted we can start processing the order. Within 10 days it will be delivered to your home. The quality of the meat, not only depends on the species, but also the method of farming and food eaten as well as the slaughtering conditions. 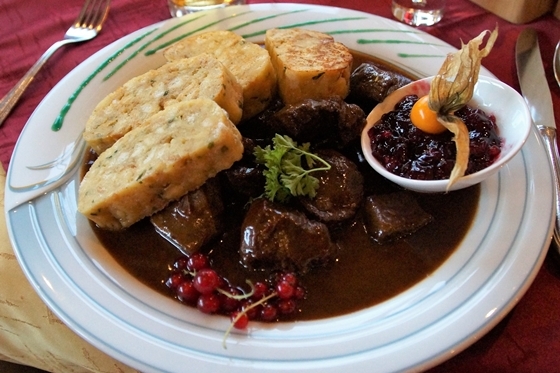 Meat from wild deer raised on wild, organic pastures, are probably the healthiest available. We comply with the certification standards CalidaZ to guarantee that the animal has been hunted by stalking and an accurate shot ensuring the animal died quickly and without suffering. For more information on deer meat consult AECUS website. 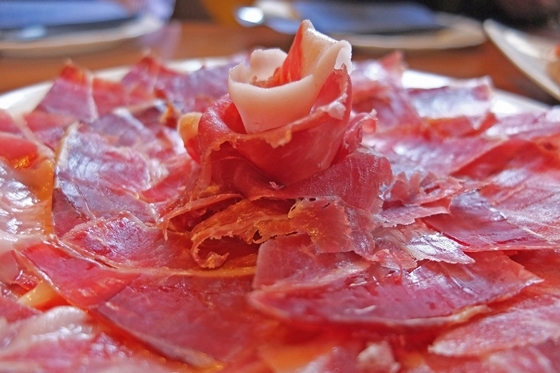 The Pedroches valley is known for the most sought after Iberian pork, rivaling the famous “Jabugo”. In our area you can find small farms that, far from seeking maximum returns to their small-scale production, are simply competing to produce meat of the highest possible quality. These products, delicate, timely and expensive to produce, are not available at your average supermarket. "Los Claros" sits right on the border between the regions of Castilla-La Mancha and Andalusia. The two regions, together, account for more than 67% of the annual number of iberian red deer, roe deer and iberian mouflon hunted in Spain. Their meat is usually collected, prepared and shipped mostly overseas. Our small processing facilities select the best animals to produce some of the finest meats including pepperoni, sausage, steaks and chorizo. Mountain olive groves in this area produce oil with excellent characteristics. 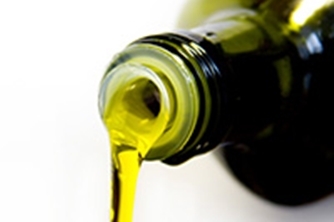 There are several mills in the area that produce top quality extra virgin olive oil through organic farming practices. 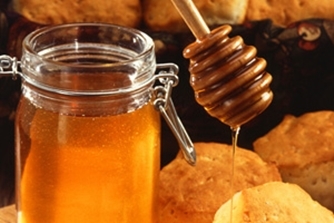 In the Sierra Morena there are many small beekeepers that exploit the abundance of flowers, rosemary, thyme, and oak, among others, to produce natural artisan honey. Your palate and your body will thank you. 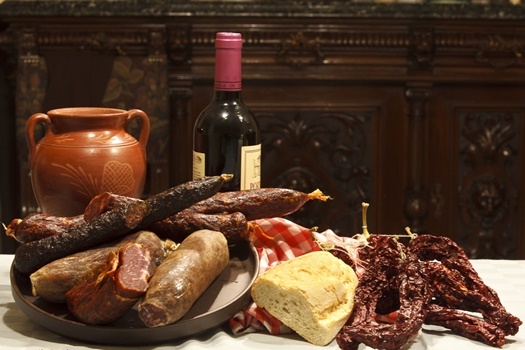 Like Iberian pork products in Pedroches Valley, southern Ciudad Real is known for producing high quality dairy products. Manchego cheese is among the finest cheese that comes from here. 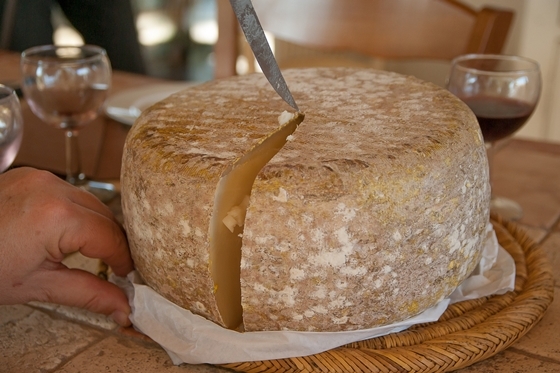 The cheese made here is recognized in competitions organized by the Governing Board of the Designation of Origin. In the world of artisan cheese, there are very limited quantities usually only available in fine restaurants and in local markets. We offer our services to make them available to everyone so people may experience the world's best manchego. Our trophies are picked up by the guards on the reserve and after being prepared by the taxidermist can be used to decorate game rooms, cottages, hotels, and restaurants. Deer lose their antlers annually. They fall to the ground and are called desmogues. They are highly prized in oriental medicine and are also used in cutlery, jewelry and handicrafts. The reserve has adequate facilities to allow for the live-capture of pure Iberian red deer and Iberian mouflon ensuring safe risk-free animal handling. The animals are subject to veterinary checks, wormed and identified. The catches, usually in summer, are in high demand. Excellent pure Iberian red deer and Iberian mouflon genetics makes them particularly valuable for introductions and reintroductions to populations. Desmogues, beads, pins, fur, cork and wood are used by craftsmen for various traditional articles. We have authentic montería boots, chaps, leather bags, rifle cases, as well as jewelry and accessories all handmade.